It was my luck to find this group to help me recover from knee replacement surgery. Staff is super friendly and accommodating. 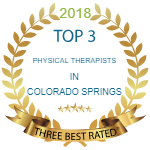 Their expertise in manual therapy along with guiding me through strength, balance and flexibility reeducation allowed me to speed through recovery. The hands on manual therapy, in my opinion, was the key. Thank you !! !